Jim Willey, Help for Haiti founder and president, and members of our team traveled to Cap Haïtien today, October 17, to assess damage from Hurricane Matthew, to allocate resources to those in immediate need and to engage in our ongoing initiatives to feed, educate and employ communities in the northern parts of the country. We will serve in Cap Haïtien predominantly, as the roads to the Marmalade school have been all but destroyed from the hurricane. We are coordinating the distribution of food aid to families who lost their homes and gardens to the storm, while also allocating funds to employ Haitian workers to complete repairs on damaged homes and church-schools. We also plan to utilize this trip to continue our core mission to develop Haiti’s next generation of small business leaders. Throughout the week, we will begin preliminary training for the One Hen entrepreneurial program for 200 students in our two schools. The program is designed to teach financial literacy, inspire social activism and build earning capacity through small business ventures. You’ll find more information on our collaboration with One Hen, here. 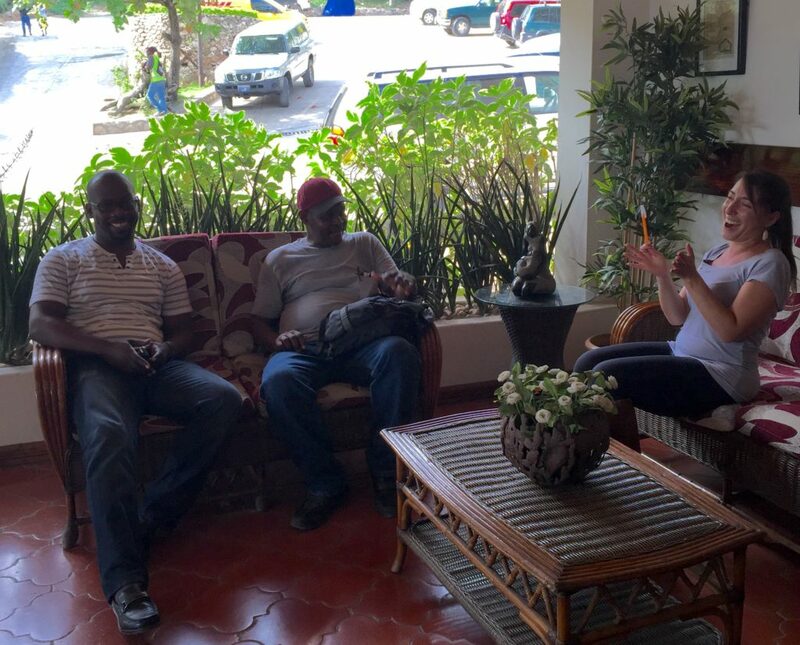 All things considered, we benefitted greatly from taking the time to catch up with our Haitian counterparts today. Stay tuned for daily blog posts this week, as we dive headfirst into a number of projects we have in development.